I was giving up hope for the second time on a second xr500. Last night while reading up on factory reset I stumbled upon the actual method of clicking erase within the router not just holding in the button on back. I did this and for the first time the router logged my speeds on both download and upload. It still says failed to detect bandwidth but I hope it will be explained by netgear as to why or if it will be fixed later on. Aside from this on the geo filter when nobody is playing a game what is this server looking symbol right where I live? It always pops on and off? That's a whitelisted authentication server, which is essential to you playing a game. It;s not a server that actually hosts a game (that's called a 'dedicated server'), so you can ignore it. 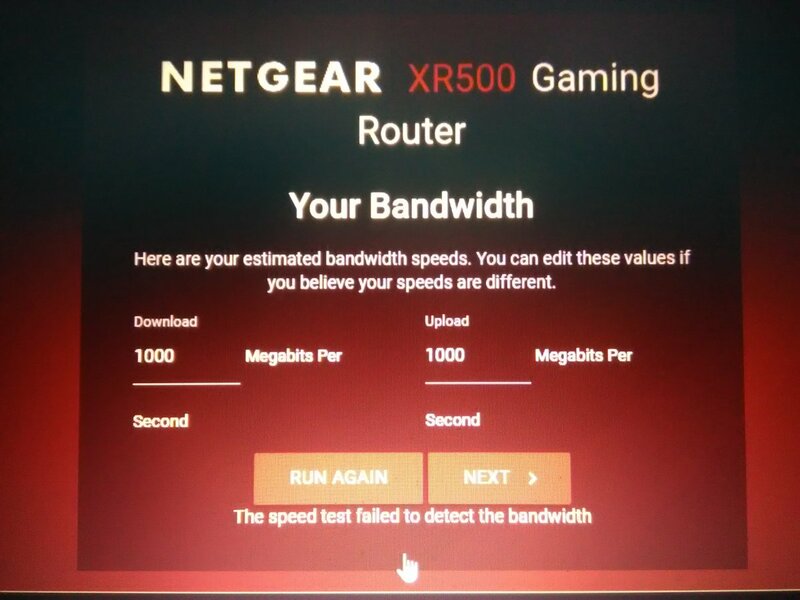 If you're getting 1000/1000 for the speed test, and it says it failed, then it doesn't sound like it was actually successful. It defaults to 1000 when it isn't able to complete the test. This is correct. You can then edit them in the anti-Bufferbloat options. It’s odd that it’s not detecting. What type of Internet connection do you have? Do you connect directly to your modem using dhcp? 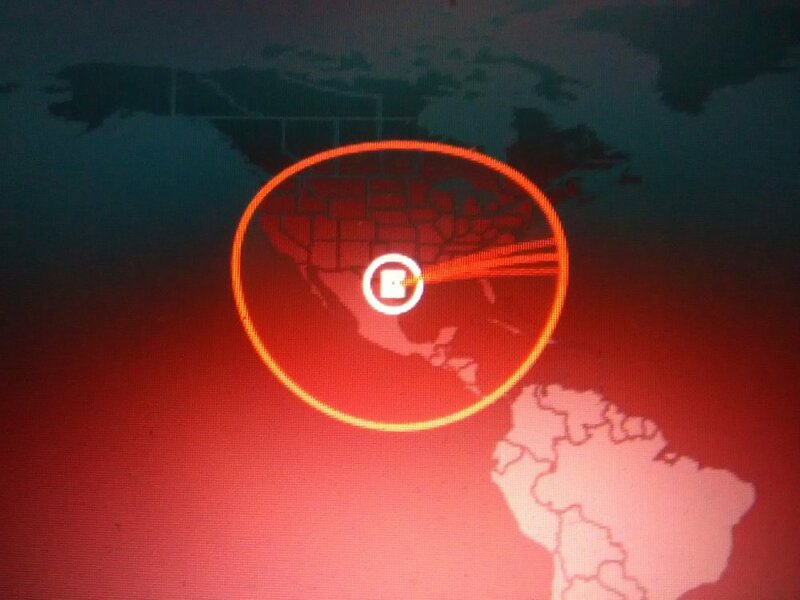 Any idea why my whitelisted server is in another country? Does that make a difference? For each game they usually just have one or two servers in the world. They’ll just do things like verify your stats / rank etc. Don’t worry about it all - it’s not used to host your game. 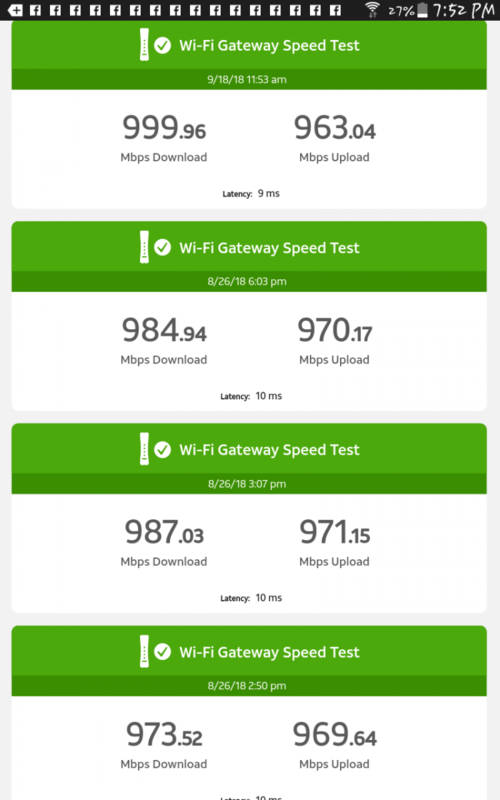 Netgear Ookla speedtest on some routers are not working right now, they I believe this will be fixed in the next update. Netgear are aware of the issue. Not great but it is what it is. 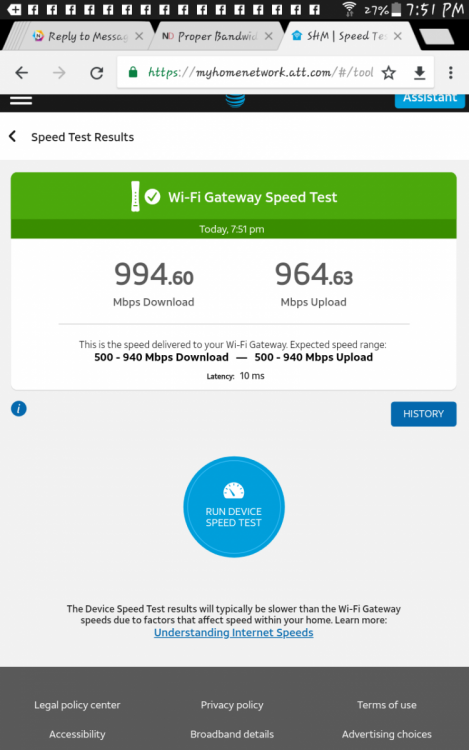 Do a few speetests online using Ookla http://www.speedtest.net/ or DSLReports http://www.dslreports.com/speedtest or Thinkbroadband https://www.thinkbroadband.com/speedtest and use one of those for now. Note that thinkbroadband shows both single threaded streaming tests and multithreaded plus bufferbloat so you can see how good your connection really is, where as Ookla only uses multi threaded, which does not show the complete picture. Netgear Ookla speedtest on some routers are not working right now, they I believe this will be fixed in the next update. Netgear are aware of the issue. Not great but it is what it is. 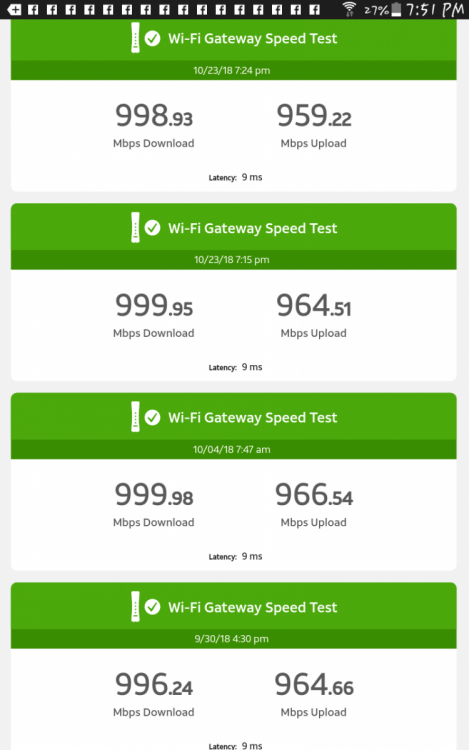 Do a few speetests online using Ookla http://www.speedtest.net/ or DSLReports http://www.dslreports.com/speedtest or Thinkbroadband https://www.thinkbroadband.com/speedtest and use one of those for now. Note that thinkbroadband shows both single threaded steaming tests and multithreaded so you can see how good your connection really is, where as Ookla only uses multi threaded, which does not show the complete picture. when do you expect the next update release, and will it includ the Hypered VPN or not ? It should include it but can’t say for certain. Doubt it’s far off but Netgear will confirm. If Netgear don't include the Hybrid VPN in this next round of updates that will be it till 2019 and then they will start pumping out 802.11ax kit, way to early as clients may not be about till the end of 2019 yearly 2020 but they will make them as its the next money spinner, even though its still not ratified! This I have to say worries me greatly as current routers will be but more on the back burner again. I really didn't want to see Netgear in my own view fragment DumaOS for what I perceive as nothing more than greed, its certainly not for the benefit of it's customers that's for sure. There is no reason the XR500 should not get Hybrid VPN in the next update, apart from effecting sales of the XR700, as people would buy the cheaper router with the same features unless they needed Plex or bigger pipes for a NAS etc. There is no such thing as future proofing with any tech, and with the new wireless standard just around the corner all our current kit is outdated including the XR700, XR500 and XR450. As far as I'm aware, this is more down to the internal testing methodology of Netgear - I'm certain there's nothing malicious going on. Hopefully Hybrid VPN will be included in this next firmware upgrade, fingers crossed! I would like to say that is the case, but its also a great marketing technique. Push the new machine with Hybrid VPN for a while before giving it to the older units to maximise sales, Jack. Maybe I'm just cynical but they managed to push Hybrid VPN to the XR700 so I'm sure they have had time to do it to the XR500 as well in testing. Honestly, a function of circumstance i.e. when firmwares for each router were merged and built! Didn't the XR500 come first? Well lets hope its included for all concerned. when do you expect the next update round for XR500? I don’t as I’m just a user like you. . I would imagine there will be an update this month but ultimately it’s down to Netgear. Can I make this in my signature? If it is not detecting my bandwidth then I give up. I'm past the return date. Anyone else in the world curious about netgear "failed to detect bandwidth" issues you are welcomed to use Google and see for yourself how many models and years have gone by with this problem. Netgear doesn't care. 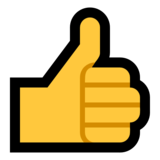 I find it very difficult to believe that no one in this community forum has the same setup from isp as it is a very popular and common service here in the states. Hopefully we'll be able to raise this with Netgear ourselves and see if there's a fix. If this has gone on for years as you say then it's likely that the reason behind it is highly complex. 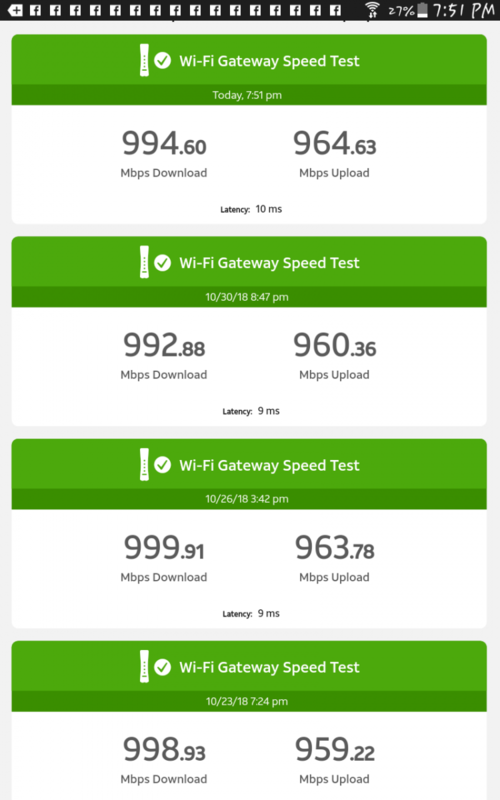 Perhaps it's an issue between the XR500 and Ookla (whose Speedtest service is present on Netgear routers), maybe that's where the complications lie. It's all speculation though - hopefully Netgear will be able to resolve this in the future. So if the detection of proper Bandwidth is not correct what am I supposed to believe? That even though it's not working correctly if I plug in my numbers it will be? How do I know that it's even doing its job right? First picture is speed test that is built into the modem. The second picture is the speed test from the XR500 BEFORE the factory reset. No matter how many times I ran the setup it was always cutting my download in half. 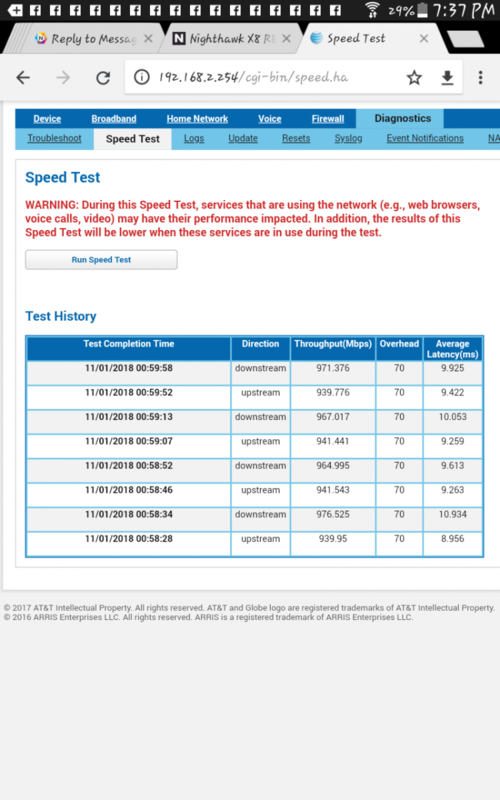 Next pictures are snapshot of another AT&T app that has speed test to the modem. 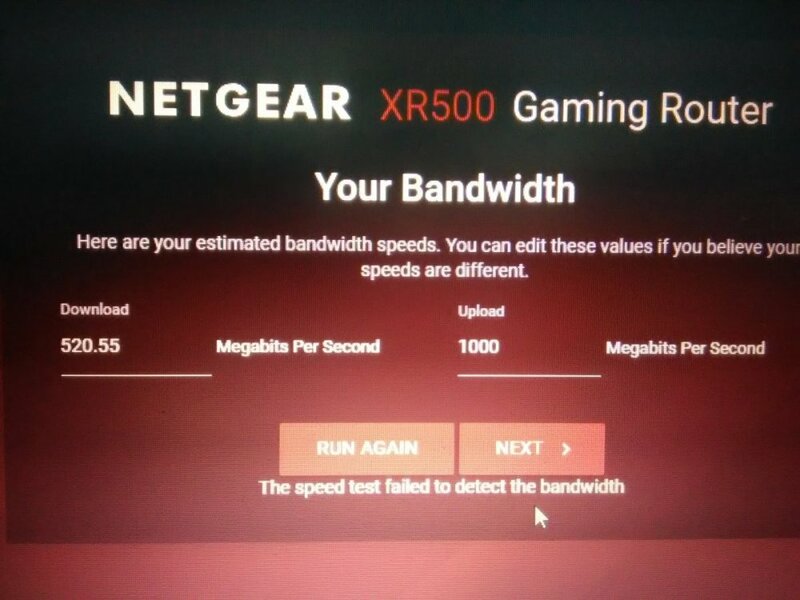 The bandwidth detection at first boot up is literally just to help first time users who may not know what their actual speeds are. So when you then go to use Anti-Bufferbloat, your total speeds at 100% are correct. All it does is run a speed test using speedtest.net. If it’s not working then it really doesn’t matter - just enter your correct speeds in Anti-Bufferbloat’s options menu. But to add - if you go to speedtest.net after setup and the test shows you’re getting less than the full speeds you are getting to the modem then that IS a problem. Which we can help you fix. The issue is it worked when 2.3.2.32 was released, and for those who dont know the speeds it will leave them confused or because there isnt a bigger failure warning they might leave it with the upload at 1000mbps because thats the part that seems to fail right now. You don't spend £450 or £250 on a XR700 or a XR500 to have part of the installation process fail. I would call that a pretty embarrassing and quite a major bug. Many people rely on that first speed test, and if it fails what's next if they don't know what speeds they get from other sources? It's certainly a bug, and NETGEAR are no doubt looking into it, but my point is far for someone experienced with the router like Crunkjuice is it's not something to stress too much about as there's a simple workaround for now. If he's not actually getting full speeds through the router then that's obviously much more serious!